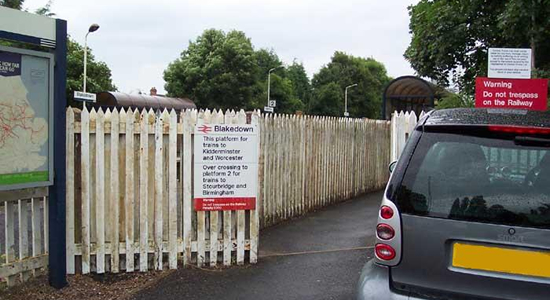 Above is the entrance to Blakedown Station from Mill Lane in July 2003. The Station opened in 1852 as Churchill Station, its name later changing to Curchill & Blakedown Station before finally Blakedown Station as it is today. 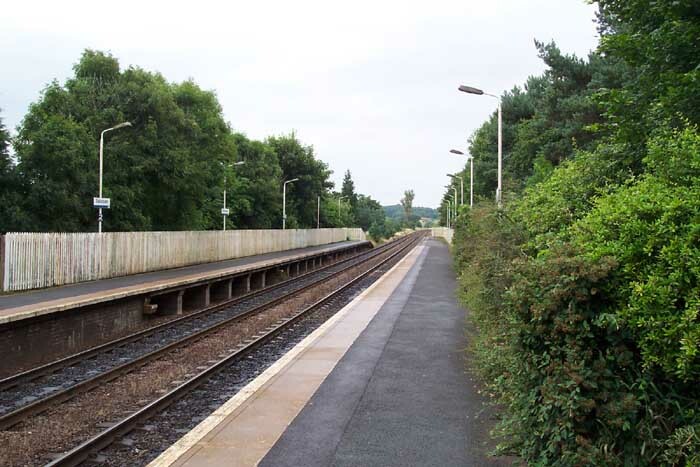 The station today is to all intents and purposes an unstaffed halt between Hagley and Kidderminster. Above-left we see the sight that greets visitors to Blakedown as they walk down Mill Lane from the Birmingham Road. 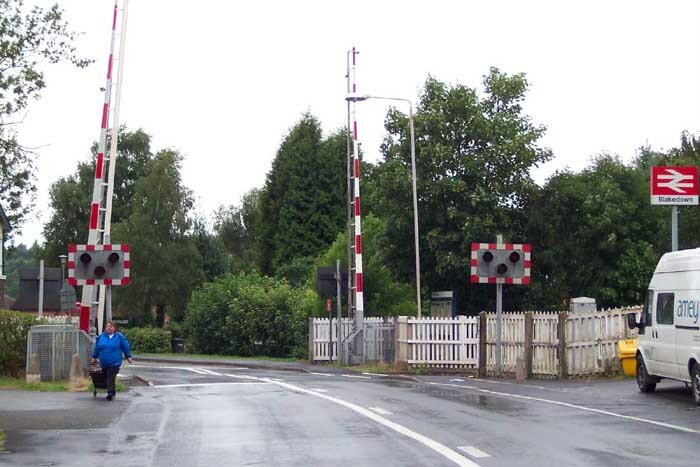 The level crossing is controlled by the signal box shown in the above-right photograph, the signalman being the only staff in post at the site. 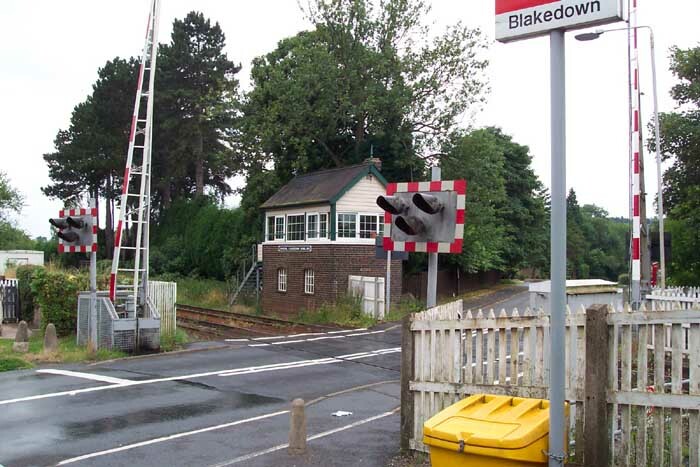 It is interesting to note that the signal box still displays the nameplate 'Churchill and Blakedown Signal Box'. 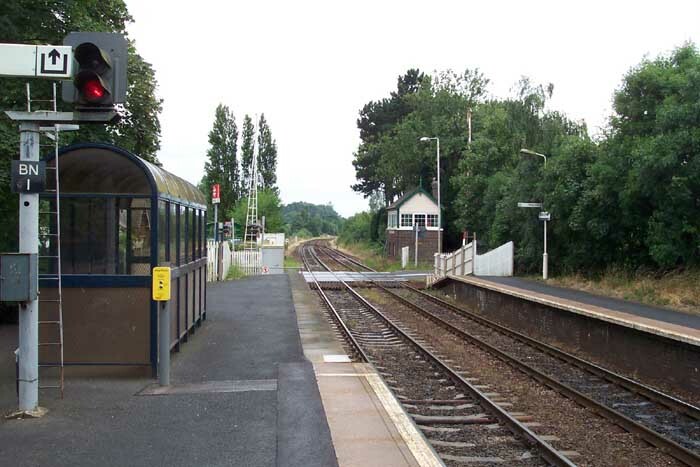 Above-left we see the view looking towards Hagley and above-right the view from the same spot looking towards Kidderminster with the level crossing and signal box at the far end of the platforms.